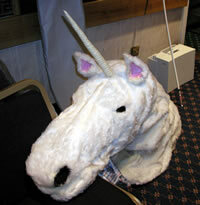 This unicorn appears to have lost its head. . 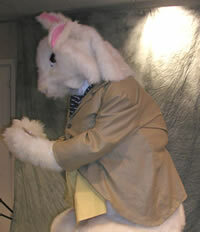 Some of the many little items from the Costuming Hornblower talk. 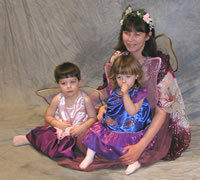 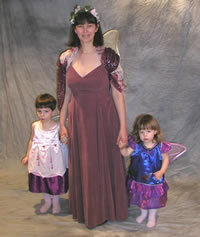 Flis Brown and family as flower fairies. 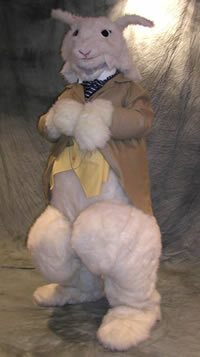 This is definitely one for the family album. .
James Steele in his splendid (and Best in Show Winning) White Rabbit outfit. 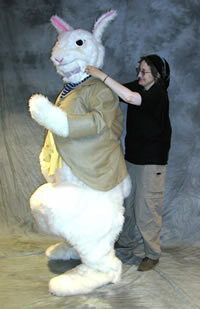 Barbara Stewart makes some running repairs to the bunny suit before photos can be taken.